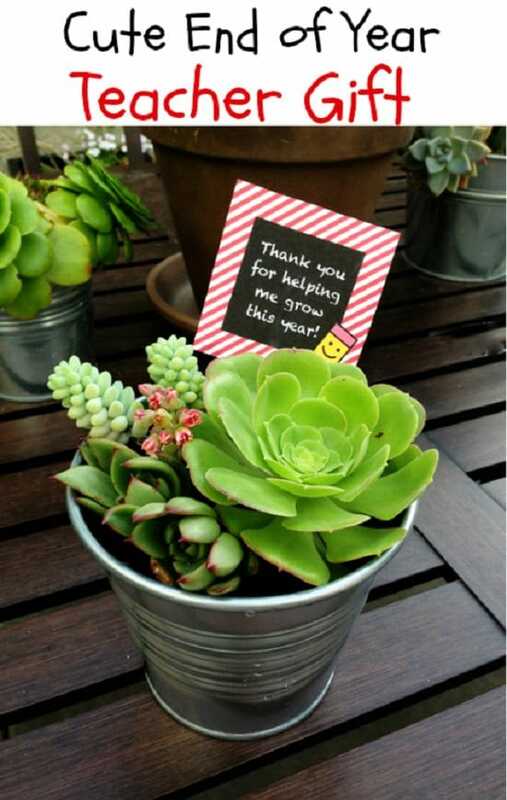 Love growing succulents? 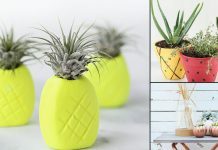 House them in the most creative, good-looking yet inexpensive DIY Succulent Planters available on the web! 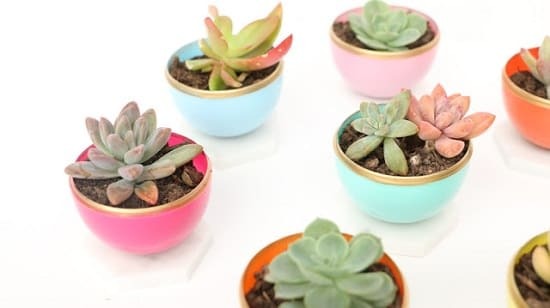 These cute little planters are made from large, colorful plastic Easter eggs to grow the assortment of succulents. Line them up on a shelf as decor pieces or use them as the centerpiece. Visit A Kailo Chic Life for the tutorial! Have you grown succulents in almost everything? But, did you try growing them in vintage planters? A classy setup! Check out the idea at Blue Bird Kisses. 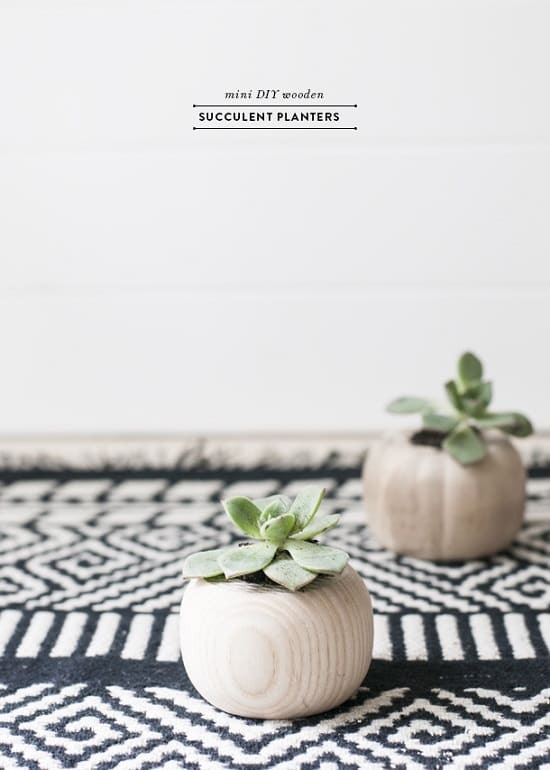 Personalize your home front with a succulent monogram planter like this. Visit Daily Dish Magazine to learn more. 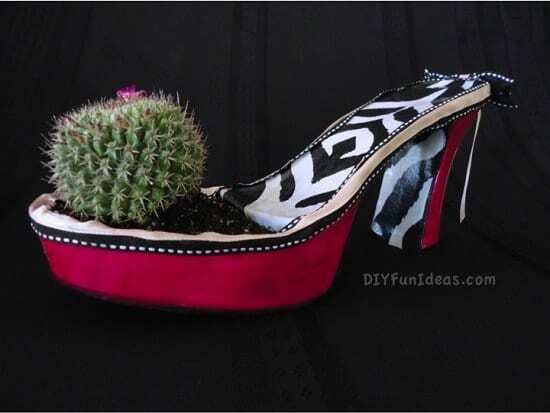 Transform your old high heel footwear into an eccentric succulent planter. Follow the detailed tutorial at DIY Fun Ideas. 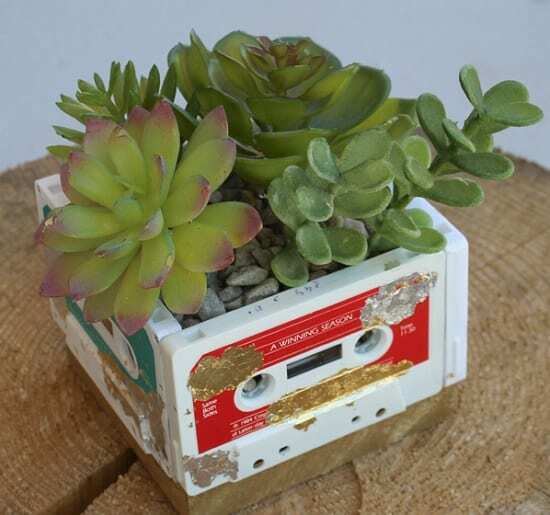 Connect your childhood to your present by making a DIY succulent planter from old cassette tapes. Find the instructions at Creative Green Living. 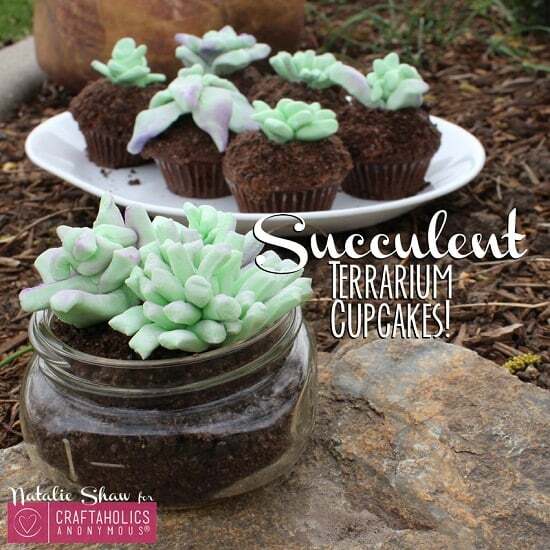 Edible succulent cupcakes with planters, we could not exclude this idea from our list. Of course, it is not related to gardening. Serve them as a dessert or decorate as the centerpieces. The recipe is here. 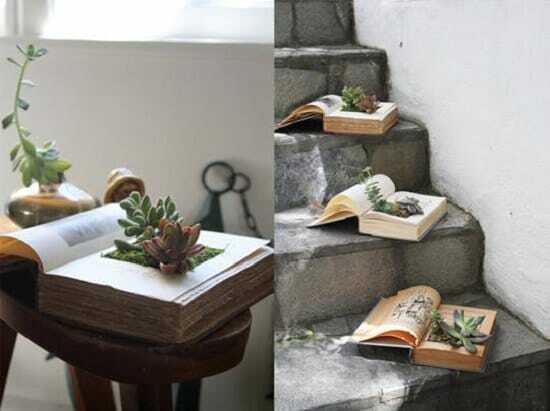 This DIY article at Apartment Therapy is engaging and shares the all required steps to create these unique Book Planters! 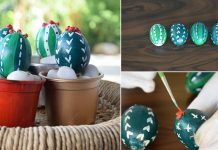 Bloggers are becoming creative, and this DIY is an example. Copper caps are cleaned up using tomato ketchup and repurposed as planters. Find this project at Poppy Talk. 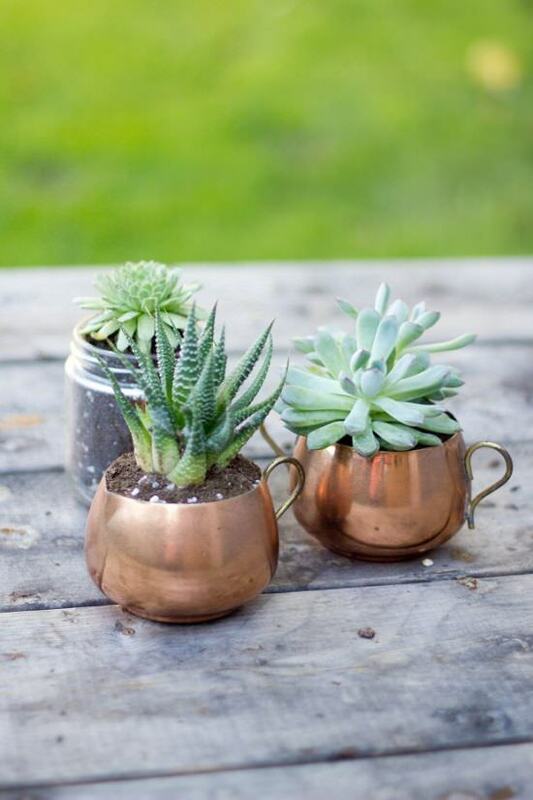 Plant succulents in mini metal plant pots to make the valuable teacher gift, a perfect idea for the Teacher Appreciation Week or use them as favors. Find the DIY at Tiny Oranges. A garden in your garden! Isn’t it? 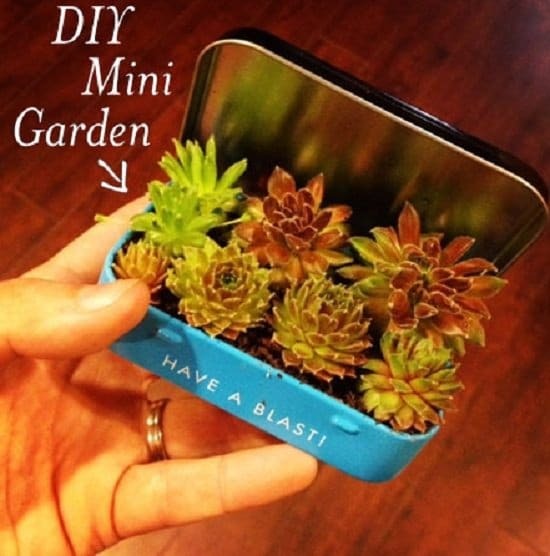 Use this miniature garden as a decoration item or for favors. 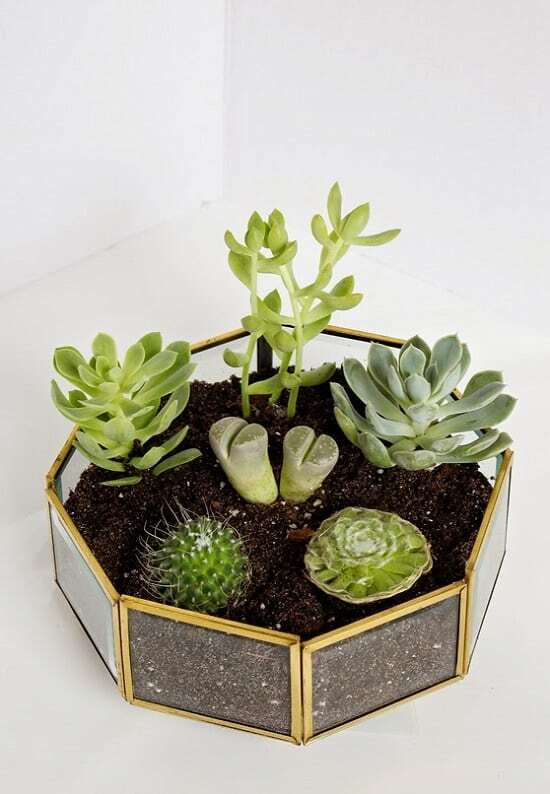 You only need plants, soil, and tin container for this project. We found the idea here. 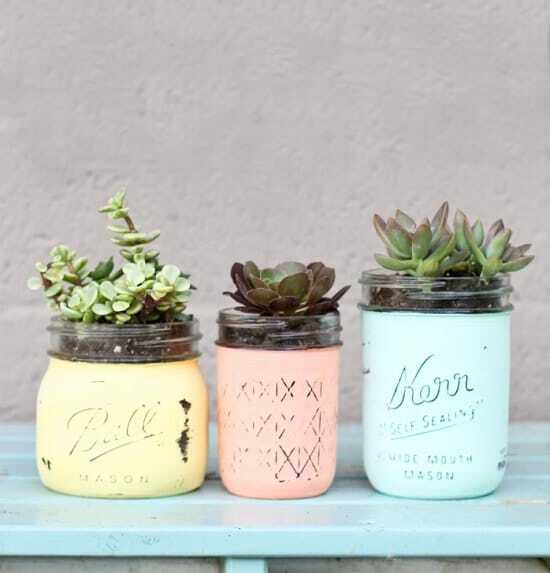 Employ mason jars, paint, succulent and soil to complete this project in no time! Follow Lolly Jane to get the directions. If you love to create eye catchy and gaudy DIYs, this one will work for you. 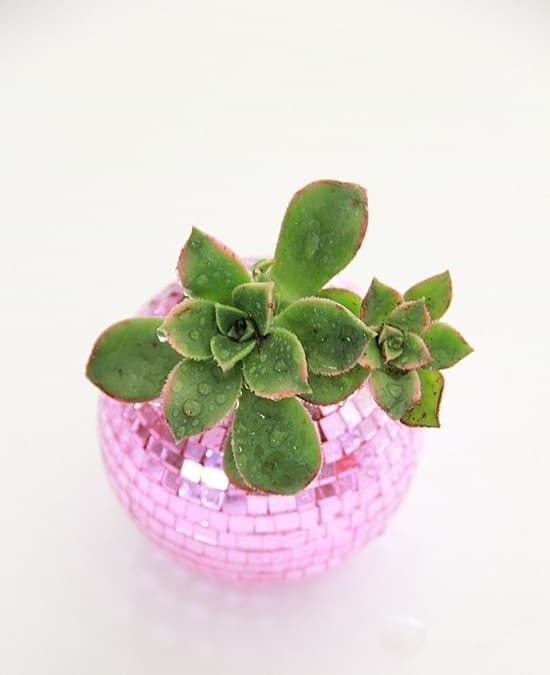 Get disco ball ornaments and a craft knife and follow this tutorial. 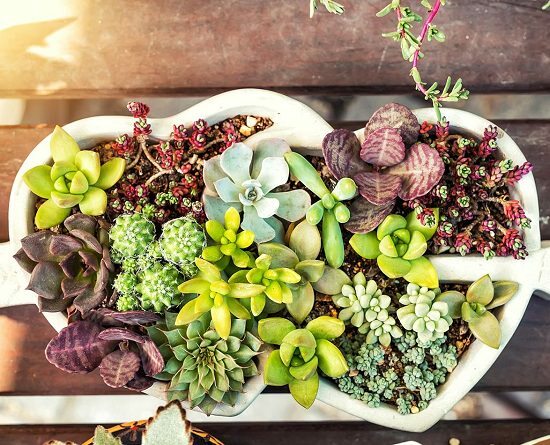 Here’s a super quick guide on how you can grow and take care of succulent plants. 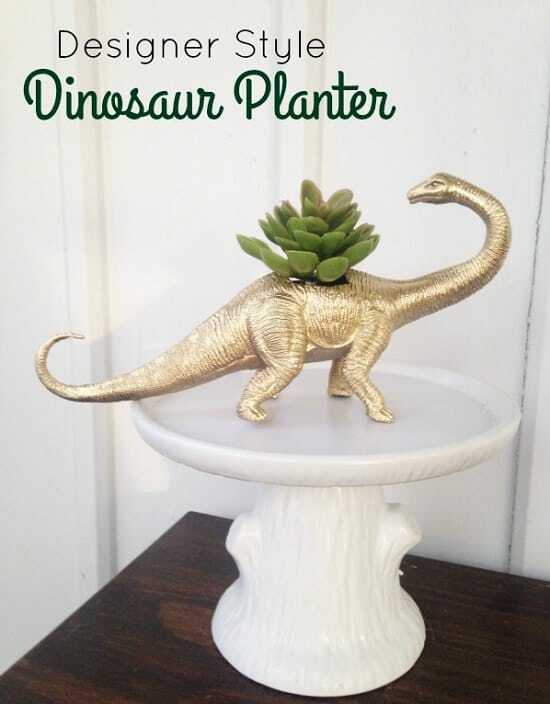 Spray paint a hollow plastic dinosaur toy to convert it into a stylish planter. Find the DIY tutorial at The Homespun Hydrangea. Find this DIY at Home Talk. 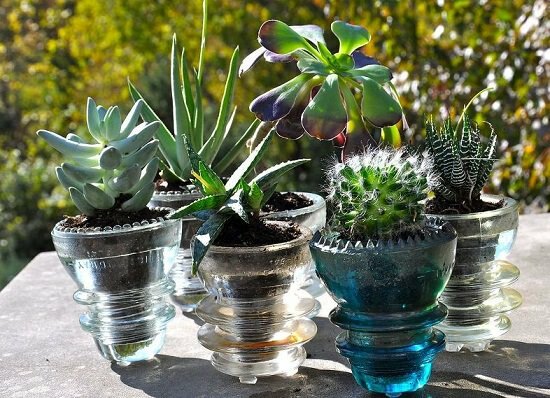 It is absolutely an out of the box idea to reuse glass insulators for growing succulents! Have broken wooden rulers at home? If not, you can break one! Can’t you? 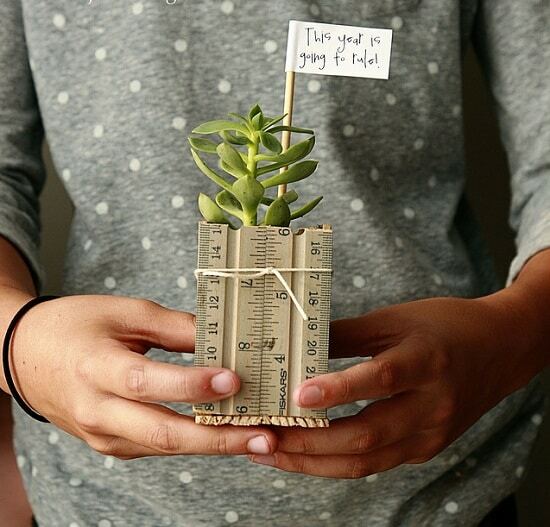 Use it to create a succulent planter. Follow the instructions here. 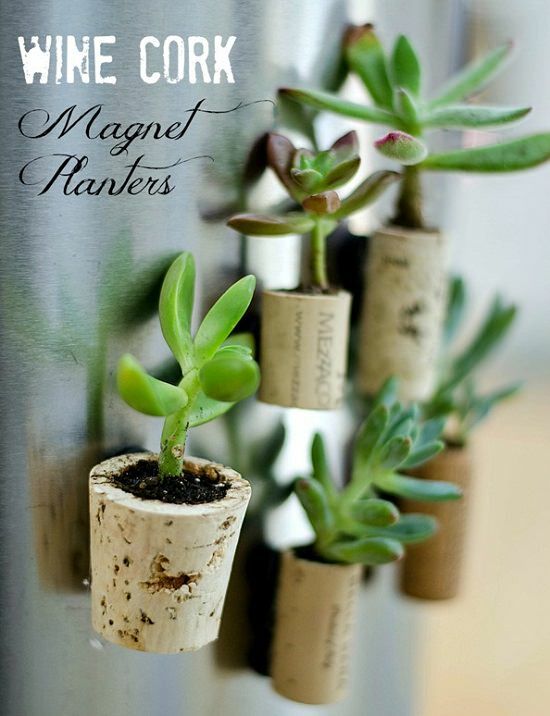 Make these tiny but adorable magnet planters to grow succulents using wine corks. Find the tutorial here. 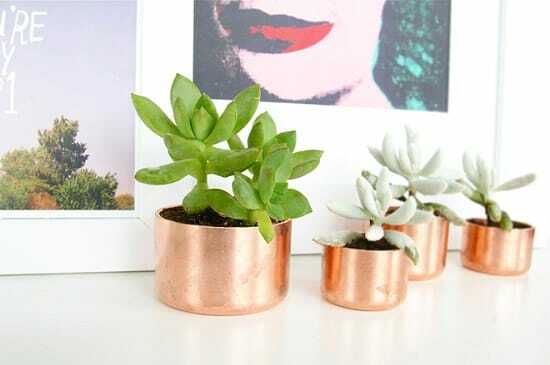 Check out more Magnet Planter Ideas here! 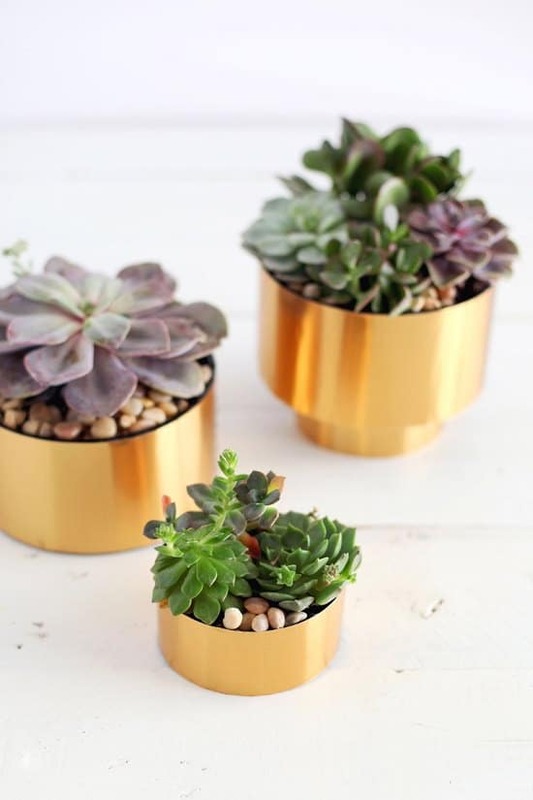 These tiny brass planters are made from PVC drain cups. Brass colored aluminum sheets are attached to them to give this look. A Beautiful Mess has a step by step tutorial. 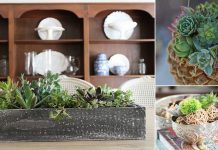 Create an attractive brass light fixture planter for your home in a few easy steps. Click here for the tutorial. 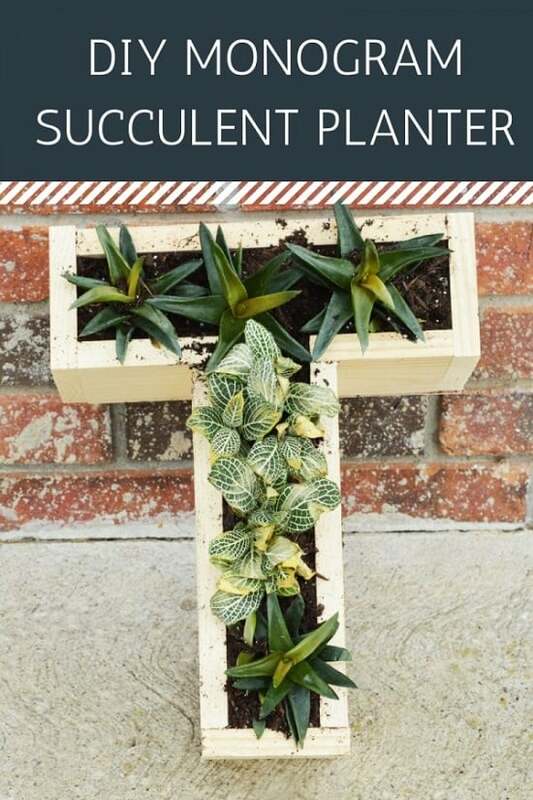 One of the unique DIY succulent planter ideas in this list. 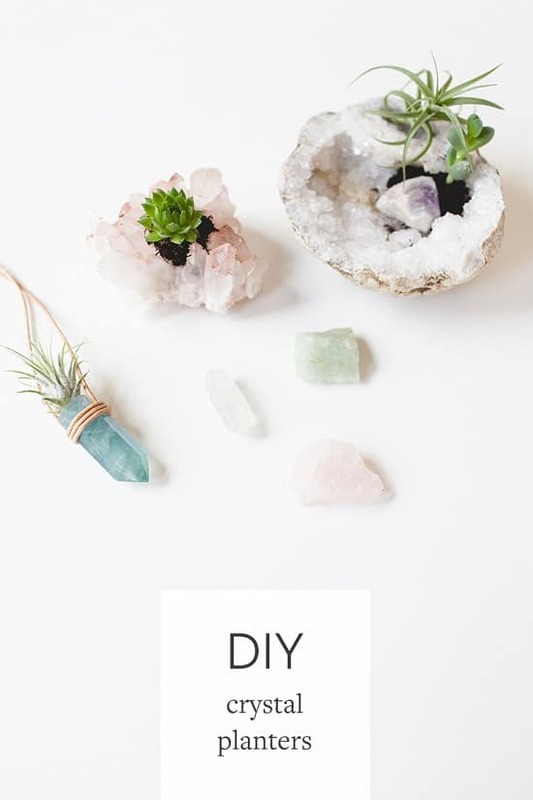 Use crystals, succulents, adhesive, and leather cord to complete this project. Get the directions at Jojotastic. This mini succulent planter is made using wooden furniture foot. A drill is used to create a hole to fill the dirt. Catch the idea at the Earnest Home. 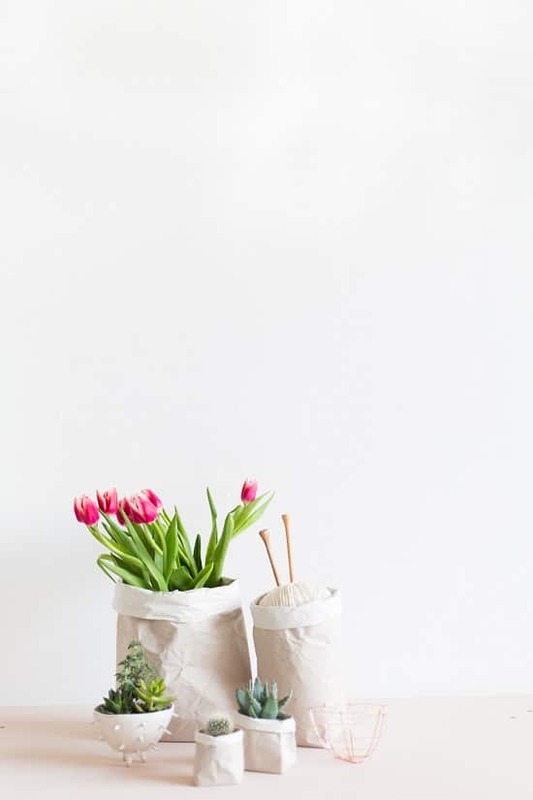 Make these eco-friendly packing paper sack planters using simple blank papers or patterned papers. We found the tutorial at Fall For DIY. 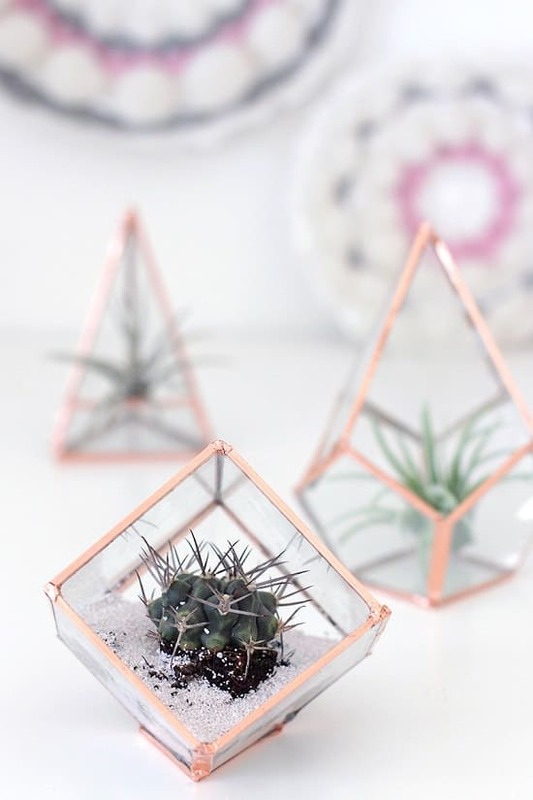 Be vigilant in this DIY project–you will need to cut the glass using a glass cutter. Overall, it is not that difficult and worth the efforts. Find the tutorial here. 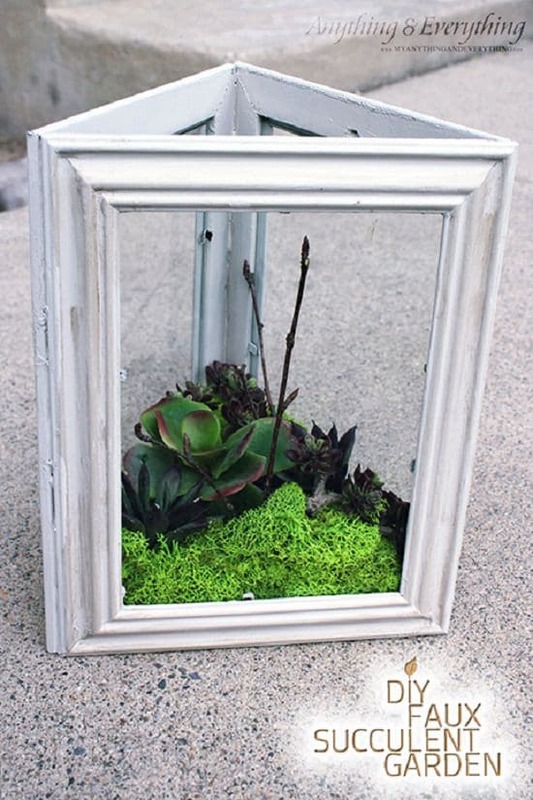 Dollar store frames, moss, faux succulents, twigs, paint, dark wax, and paintbrush are all used to complete this DIY project.